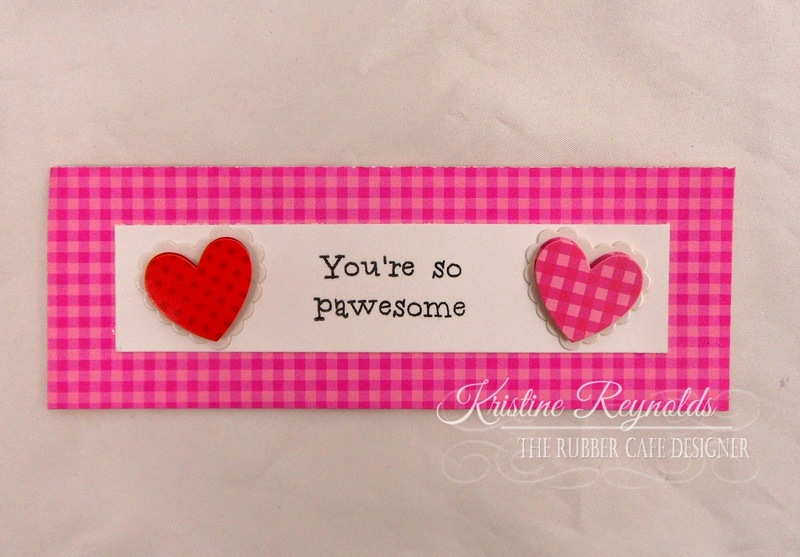 This months kit is called Paw Prints on your Heart and it is full of adorable fur friends! Today I made a fun Easel card. 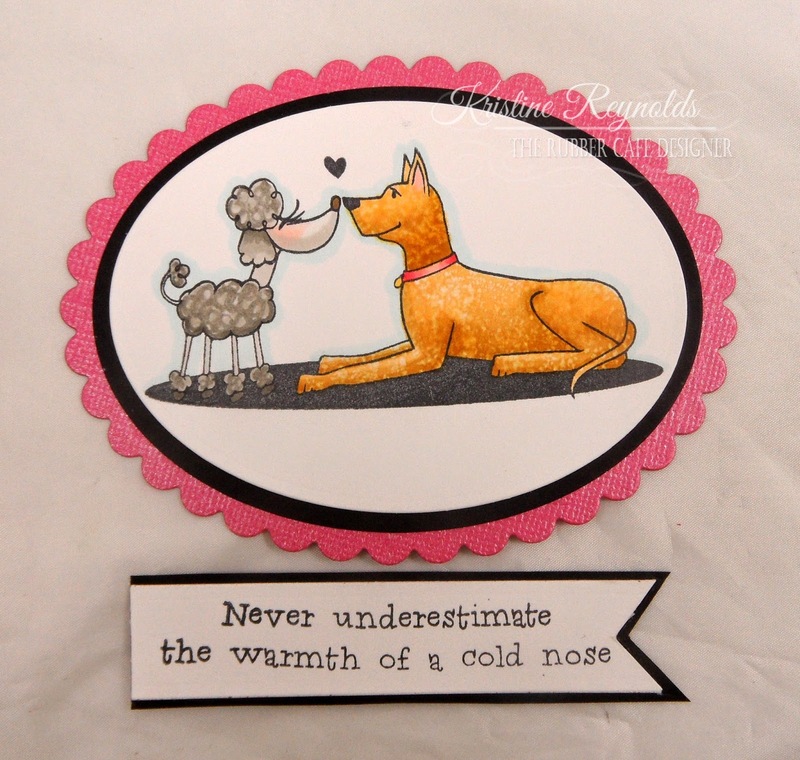 I used the "Live, Love, Bark" stamp set that comes with this months kit as well as the add on set, "Love is a Four-legged Word"
Score it at 4 1/4" and at 2 1/8". It will look like this when folded in half. 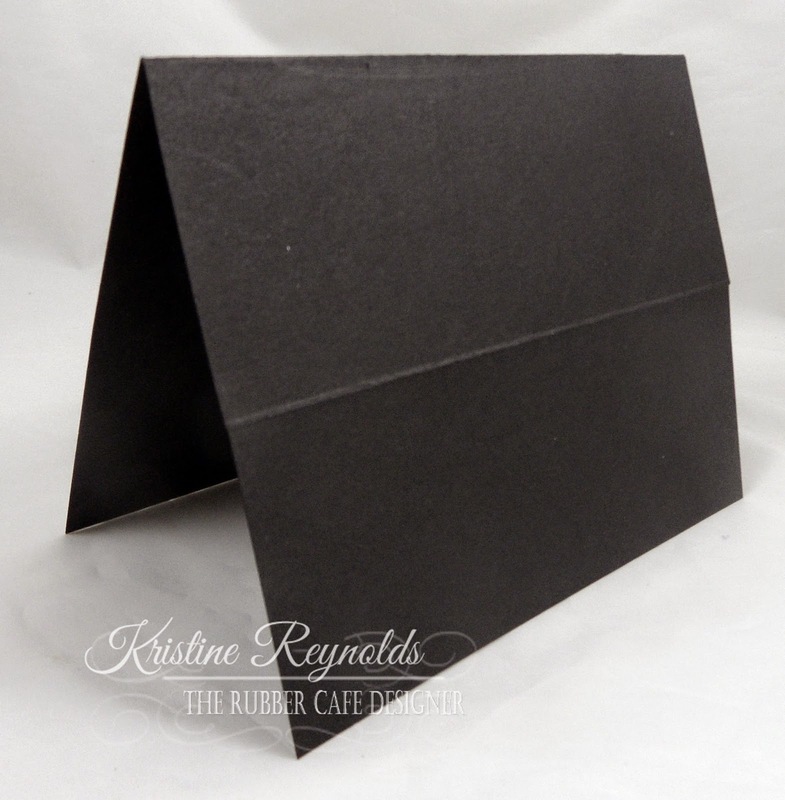 It will fold up like this to create the base for the easel card. Cut patterned paper pieces to 2" x 5 3/8". 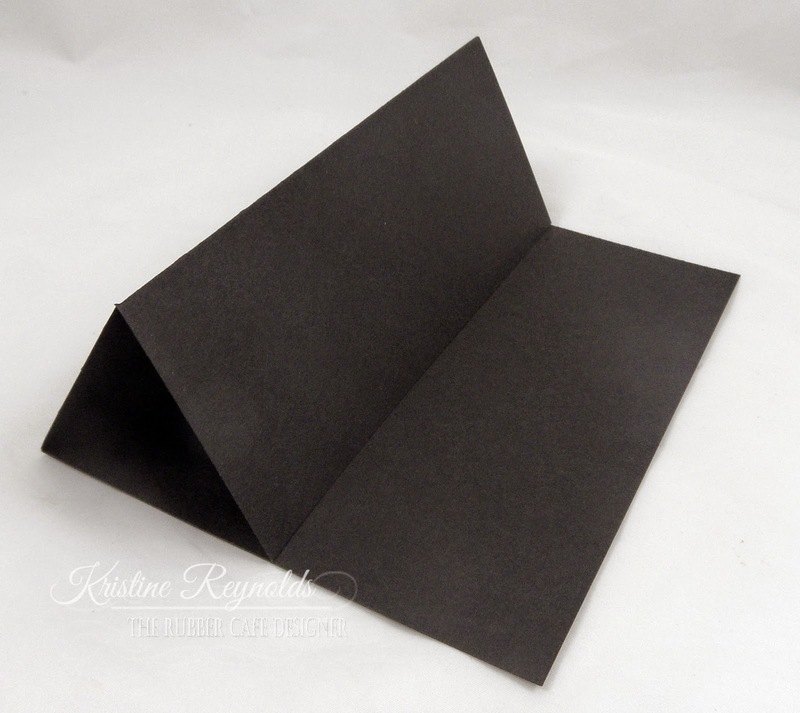 Adhere the patterned paper to the card with Scrap Happy Glue as shown. Stamp the main image on a white die cut panel with Memento Tuxedo Black Dye Ink and color with Copic Markers. Back the panel with a larger die cut black panel and then with a dark pink scallop edge oval panel. Stamp the sentiment on white cardstock with Memento Tuxedo Black Dye Ink. 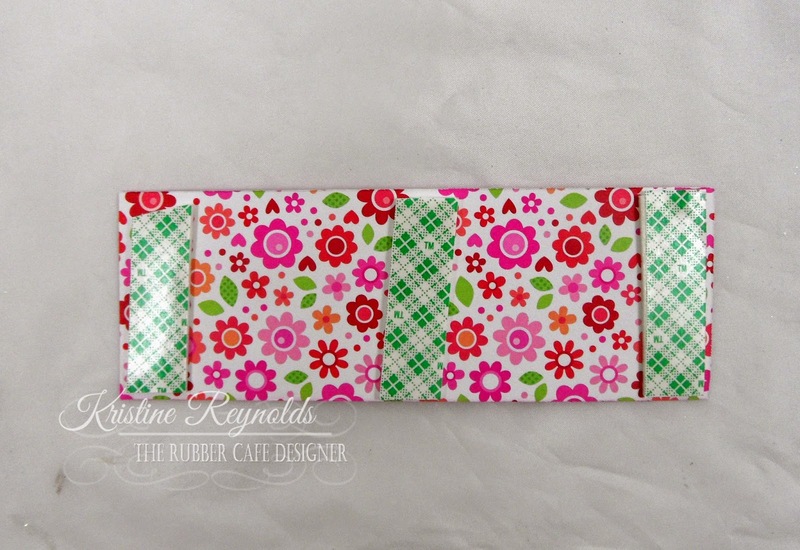 Cut the sentiment panel into a banner shape and back with a black panel as shown. Cut a 2" x 5 3/8" panel of patterned paper. Stamp sentiment on a white panel with Memento Tuxedo Black Dye Ink and adhere to patterned paper panel with Scrap Happy Glue. 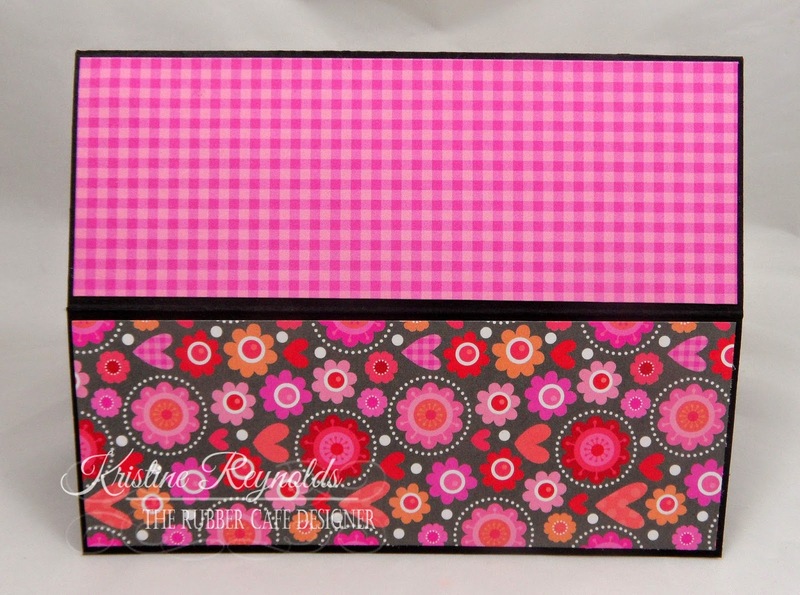 Flip the sentiment panel over and add foam tape or foam squares to the back. Adhere panel to the inside of the card. Tie ribbon around the base of the card. It should look like this when folded into an easel at this point. Adhere the prepared image and sentiment panels. Be sure and only adhere the image panel to the lower portion of the card so that it can flip up when opened into an easel. Cover the stamped heart with a red heart embellishment. I hope you enjoyed today's fun fold card and that you'll give it a try! 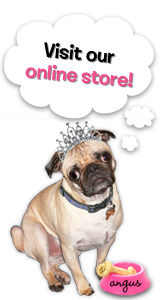 Check back often because the rest of the team is busy creating wonderful samples with this months kit too! 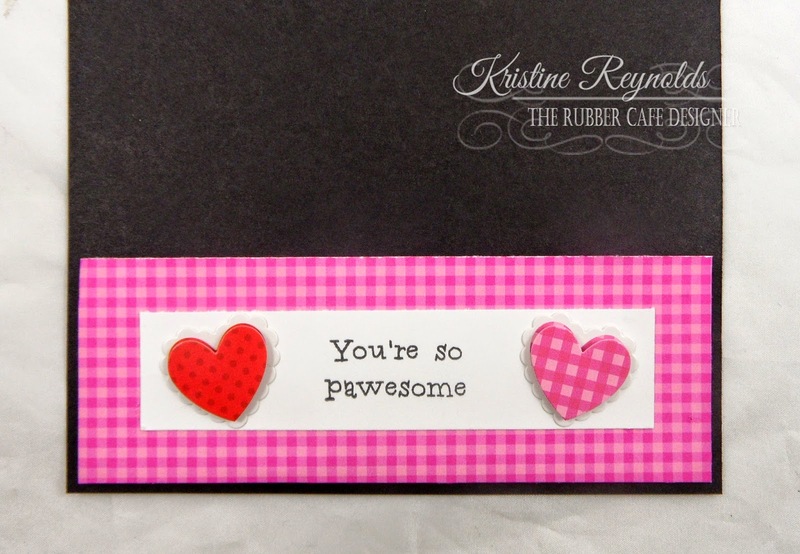 Stamps: The Rubber Cafe'-Creative Cafe' KOTM: Live, Love, Bark and the add on set "Love is a Four-legged Word"